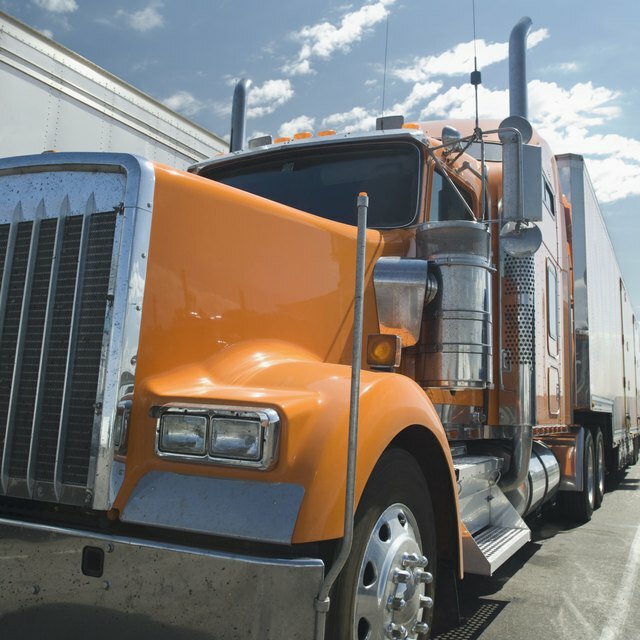 Trucking is usually the transportation medium of choice for many large and small businesses. The food, lumber, energy, construction and agriculture industries are among the most significant users of trucking for logistics and transportation. Some trucks carry truckloads -- which are usually sealed containers -- for one customer while others carry loads for multiple customers. Profitability depends on industry demand and the cost structure. The average profit per load is equal to the trucking rate minus costs, which include fixed, operating and other costs. Fixed costs refer to management overhead, insurance, leasing and licensing expenses. Operating costs include fuel and maintenance costs, while other costs cover vehicle depreciation and driver salaries. According to transportation services provider TransCore's 2011 industry survey, carriers reported profits of about 15 percent per truckload in 2010. Truckload rates and freight tonnage increased from 2009 to 2010. Asset-based brokers fared better than non-asset-based brokers did over the same period. The main difference between the two is that asset-based brokers own most of the assets required to provide logistics and transportation services. Costs and truckload rates are the two major influences on profits. Rates rise when there is a supply-demand mismatch, meaning that demand outpaces available trucking capacity. Truckers usually reduce capacity in a slowing economy and gradually increase capacity as the economy rebounds. For example, TransCore reported that about 40 percent of survey respondents expanded their business in 2010, following the recession years of 2008 and 2009. Does Shipping Income Count As Revenue? However, the 2011 profit outlook remained weak, according to The Bedford Report, an investment research provider. High fuel prices were reducing profit margins, forcing truckers to raise load rates and add fuel surcharges. Analysts were concerned that this could severely hurt demand, which could negatively affect profits even further. TransCore noted that regulatory changes, such as more stringent emission standards in California, also exerted cost pressures. Productivity enhancements also can lead to increased profitability. Virginia Tech professor M. Chad Bolding wrote that truck drivers could improve certain factors under their control, such as payload, weight variation and empty weight of trucks. Selecting the right truck-trailer combination, using super-single tires and removing infrequently used components are among the ways to improve operating efficiencies and boost profit margins. Information technology has played a significant role in the trucking industry. IT has improved the accuracy and speed of shipping data. Networking and wireless tracking technologies have allowed shippers and customers to track merchandise in real time. Businesses are better able to manage their inventories better, and truckers can optimize their shipment schedules. These changes mean better margins throughout the supply chain. Virginia State University Cooperative Extension; Safe and Efficient Practices for Trucking Unmanufactured Forest Products (Productivity and Efficiency); M. Chad Bolding, et al.